Arsenal have reportedly had a bid accepted for Real Madrid attacking midfielder James Rodriguez as Unai Emery eyes a transfer to replace Mesut Ozil. The Colombia international is currently on loan at Bayern Munich but seems set for a move, with Juventus also mentioned as being in the running by Spanish outlet Don Balon. Rodriguez is now said to be deciding on his next move, though Arsenal look in a strong position as they succeed with an offer of £63million for the player, according to Don Balon. Real are keen to sell Rodriguez after his lack of impact at the Bernabeu, while he also hasn’t exactly been at his best for much of his time in the Bundesliga. The 27-year-old certainly has the potential to be a world class performer, as he’s illustrated in fits and bursts down the years, particularly at Monaco and at the 2014 World Cup which earned him his big move to the Spanish capital. 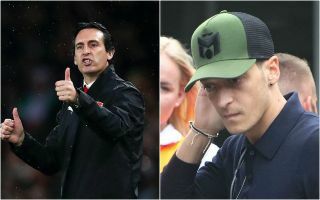 If Emery can get the best out of Rodriguez, he could be a fine replacement for Ozil after a difficult season at the Emirates Stadium.